Amrith Bdr Subba's Diary|: Had I made my first flight on an auspicious day? Within the past eight years of my service in the government, I have actually got the opportunity to officially fly abroad only once. It was in September 2009 when I and one of my colleagues were nominated for a 10-day training on Adolescent Reproductive and Sexual Health at ASEAN Institute for Health Development in Thailand. I am still grateful to my immediate boss for kindly giving me that opportunity to attend the ex-country training for the first time after 2.5 years of my service. I was very excited to travel in air for the first time in my life. The flight journey from Bakdokra to Kolkata and then to Bangkok was a thrilling experience and although it was scary at the beginning, I gradually enjoyed my entire journey. 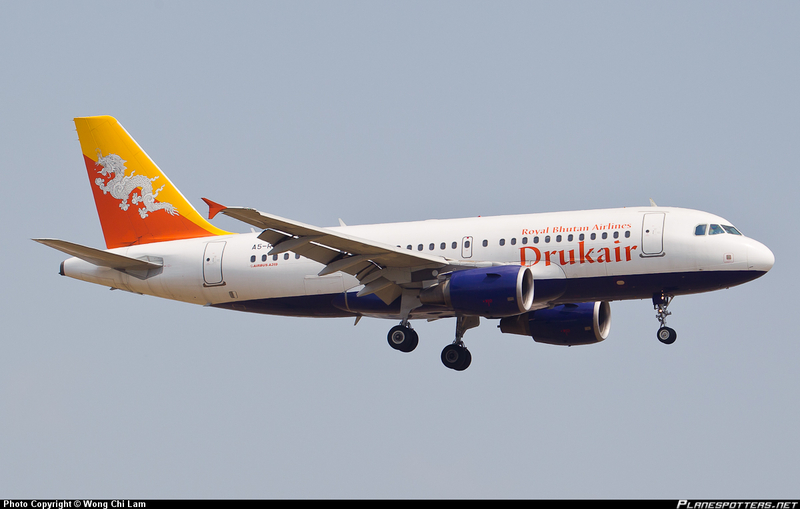 Fortunately or unfortunately, all Druk Air tickets were booked and that gave me the opportunity to travel via India, which meant longer flying hours for me. So, I had a wonderful experience and I had a lot of fun with my friend. That was one of the most memorable moments of my life. Today as I sit here and reflect on those moments, I feel that I had made that special journey on a very auspicious day because although I have not got the opportunity to fly on official passport since then, I have flown once every year privately so far. In 2010, I was privileged to get the opportunity to attend a 2-week ICT training for the blind in Penang, Malaysia organized by Japan Braille Library. I had applied for this training myself and got selected based on the outcome of the telephonic interview. So, I attended the training all at the expense of the organizers. In 2011, I took leave from office to attend a 4-day South-Asian Disability Forum in Dhaka, Bangladesh. It was in September and I was one of the three disabled members selected from Bhutan to take part in the forum. Then in 2012, I got Endeavour scholarship to undertake Masters of Counselling in Australia and once again, I got the opportunity to fly. In 2013, I flew back to Bhutan from Australia. So for the five consecutive years since 2009, I have been flying once yearly and this sometimes makes me feel that I might have really made my first flight on a very auspicious day. I was wondering that my luck would have got over by now but it seems 2014 too has a special gift for me. I am flying for the 6th time tomorrow i.e. on 11th November 2014, on the auspicious birth anniversary of His Majesty the fourth King. This time, the Disabled Persons’ Association of Bhutan (DPAB) has nominated me for a week-long cultural exchange programme to be held in New Delhi, India. I am fortunate to be part of a group of persons with disabilities from Bhutan to represent our nation at the international cultural exchange programme of persons with disabilities held annually in New Delhi, India. So, I have once again taken leave from my office and I am flying on the morning of 11th November to attend the programme in India. I will be back only on 18th November. I hope 2015 will also give me a chance to fly, at least once. LoL! Although I have not earned significant daily allowances compared to those travelling officially, such small opportunities help me relax from routine office works and get exposures to new atmosphere and cultural experiences. At least, I have something to bring back home: good memories of the places I visit and people I meet, new skills, ideas and knowledge which I can apply to my work as well as to my personal life. So, I am very grateful for all such opportunities I have got till today. It's really nice to see that you enjoy airtravel that much. The experience of flying is something really unique and it's a joy every time!